He shares screen space with Sri Devi in his next, Mom, in which he plays the main antagonist. 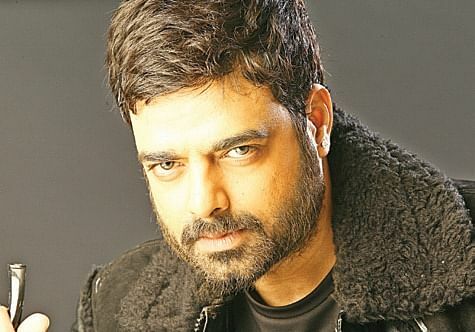 Abhimanyu Singh started his acting career with Aks (2001). Apart from Hindi movies, he has also acted in Kannada, Tamil, Telegu and Gujarati films. He shares screen space with Sri Devi in his next, Mom, in which he plays the main antagonist. You play the antagonist opposite Sridevi in your next film, Mom. What was it like to work with her? It was an amazing experience. She helped me become a better actor because she is so passionate, focused and disciplined. There is a lot to learn from her and she really took care of us. I was very lucky to have acted with her in this film and have enjoyed it over our many shooting schedules. Tell us about your role in Mom and how you prepared for it. My character is Delhi-based, so I went there 10 days before the shoot and got a Royal Enfield Bullet from a friend because my character rides one. I started riding it and interacting with the locals to get a feel of the place. I’ve studied in Delhi but over the years I lost touch with the place. But for this role it was important for me to go down memory lane. That way I got into the skin of the character, his physicality and body language. You also shot in Georgia when it was extremely cold. How did you manage? You have played a negative character in most of your movies. Do you think you can be cast in a romantic role? Yeah, of course! I have so much love in me. I am quite a romantic guy... You can ask my wife (laughs).